Myna is originally from the Saguenay region and moved to Gatineau at the age of 8, where she discovered her passion for dance. She was trained at the Anick McConnell School of Dance as well as the Adagio Ballet in a variety of styles including ballet, jazz, tap, lyrical, contemporary and hip-hop. At the age of 12, she was accepted into the intensive summer camp at The National Ballet School of Toronto, where she deepened her knowledge and technique in classical ballet. At the age of 16, she attended a month-long intensive camp at the L’École Supérieure de Ballet de Montréal. 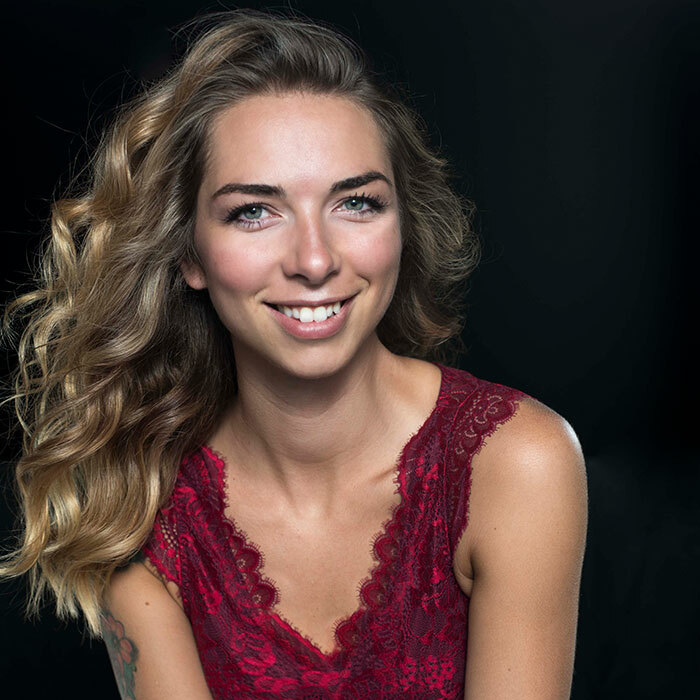 Myna began her dance teaching career at Studio Coincidanse in Gatineau where she taught various levels and styles in both the competitive and recreational divisions. She has choreographed year end show numbers as well as many competitive numbers. Miss Myna is a dedicated teacher who loves to pass on her passion to her students!